Location updates as frequent as you want. View in the map a trail showing history of locations where a vehicle has been from any date range. RealTrack GPS applications for IOS and Android devices let you keep easy tabs on your vehicles any time of the day while on to go. Generate tracking numbers for any vehicle. Send this number to any third party. They will have limited tracking access. Access 30+ different reports and generate analytics to keep your fleet statistics on point. Reports required by law are included. We help you keep a close eye in every single part of your business so everything runs smoothly and with low operational costs. Tools like our "Time Sheet Report" and drivers log will let you keep track of REAL work hours and avoid wasted labor. Find the closest vehicles to your customer location. Also, us helping you improve productivity will result in faster response times. By monitoring speed limits and driving behaviors you will kepp your drivers and everyone on the road safe. Our management tools for work orders and routing, plus our mobile apps will help your dispatching run smooth and proactively. Track your fleet and perform Dispatching tasks from anywhere. Track your fleet in an user friendly GPS fleet tracking mobile environment from anywhere and at any time. Look for "TSO Fleet" for basic tracking and "TSO Fleet Pro" for advanced tracking and dispatching. TSO InCabin gives dispatchers a better way to get their job done. 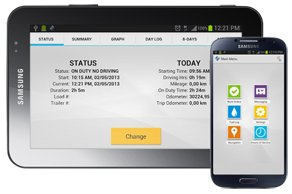 This is TSO Mobile's Android App for Workforce Management & The Improvement of Driver Performance. Look for "TSO InCabin" in the GooglePlay store.